The super team Argo 5 has returned! 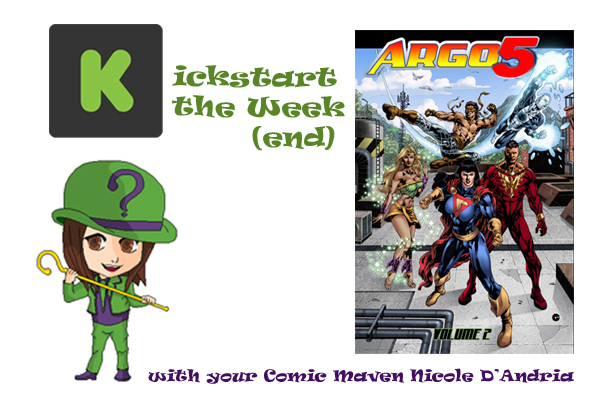 Having previously talked to the creative team on “Kickstart the Week(end)”, these superheroes are back at it again, taking on aliens, demons, mythological deities and, scariest of all, bad dates. Argo 5 is led by the super-powered Gladiatra. 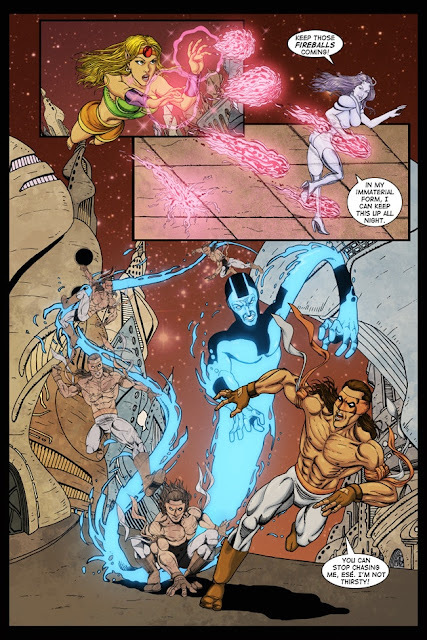 Members include her boyfriend Shazrath (the Maltese god of strength), Blue Dynamo (powered by the Blue Star), Chain Reaction (a martial arts master), and Kasira (a half-human, half-genie). They’re funded by billionaire Denny Dennis, who also gets the team their very own space station. This second collection includes issues #6-11 of Argo 5, which focus on the origin of Blue Dynamo and Gladiatra attempting to find Megamax, the world's greatest megahero… and also her father. 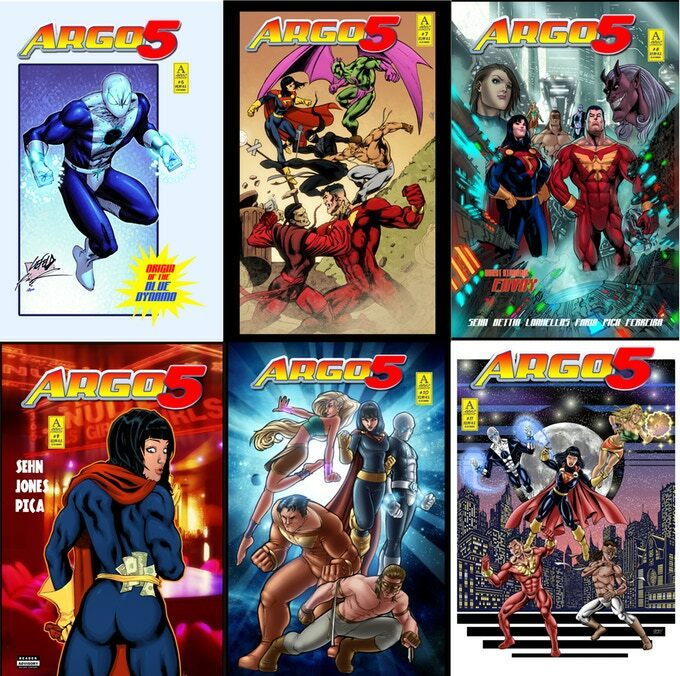 Created and written by Dan Sehn, each issue of Argo 5 features different artists, including Alex Garcia, Rafael Dantas Gomes, Rafael Lanhellas, Alan Faria, Carlos Henry, Tazio Bettin, Mike Gallagher, Scott "Shade" Jones, Antonio Brandao. Ben Dunn, Greg Nichols, and TG Sangalang. Colorists include Giuseppe Pica, Alan Faria, Erika Ferreire and Miguel Marques. The Kickstarter has already raised double its $1,000 goal and will continue to run until December 20, 2018 at 3:36 PM EST. 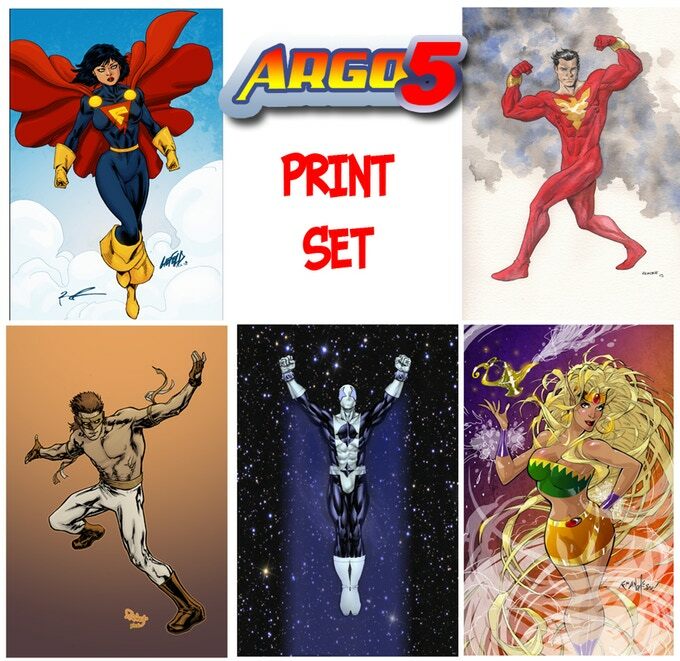 Rewards include digital ($10) and physical ($30) copies of Argo 5 Volume 2 as well as print sets from superstar artists ($50) and having your character guest star in Argo 5 ($100)! See more rewards or pledge to Argo 5 Volume 2 here. Enjoy in-depth interviews with writer Dan Sehn as well as artists Rafael Dantas (Argo #6) and Alex Garcia (Argo #11). Me: This volume includes an issue that focuses on the origin of Blue Dynamo. What can you tell us about his character and why you chose to focus on him specifically here? Sehn: I have been making my way through the origins of all the characters. Issue 2 had an abbreviated origin of the half-genie Kasira. 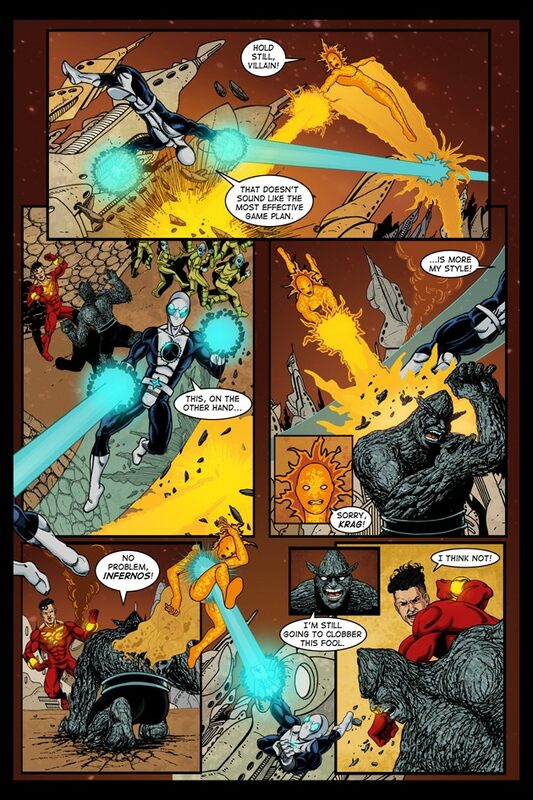 Issue 6 contained the origin of Blue Dynamo. Issue 19 has Shazrath’s mythological origin and issue 26 contained the team leader Gladiatra’s origin (along with her brother Ultro of Team North America). The upcoming issue 30 will finalize the set with the team’s resident Mexican martial arts master, Chain Reaction’s origin. Me: Since Gladiatra is searching for her father, the world’s greatest megahero, what can you tell us about him and his significance in Argo 5? Sehn: As seen in Argo 5 Volume 1, which is offered again in this Kickstarter, the team is funded by Denny Dennis who fought in the Korean War with Megamax and he recruited Megamax’s daughter Gladiatra to lead Argo 5. Me: If you could pick one super powered character in all of comics to be your father, who would you pick and why? Sehn: Superman seems to have the best moral compass in comics, so I think he’s a good choice. Me: What is the number one reason why people should back this Kickstarter? 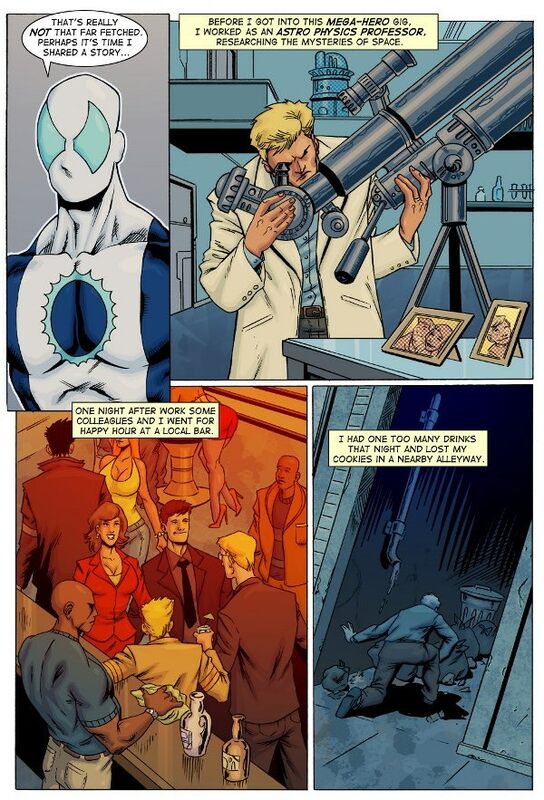 Sehn: I love indie comics for the unique voices and approaches some are able to deliver. I think that along with the combination of quality in story and art make Argo 5 one of the best choices in the indie superhero market. Me: What can you tell us about the future of Argo 5? Sehn: Issue 28 and 29 is a two part story that heavily features on the soap opera element that I believe is part of what sets Argo 5 as different from many others in the market. As I mentioned, we’ll get Chain Reaction’s origin in issue 30 and several more issues are completed and ready for lettering, so there is much to look forward to. Me: What inspirational words do you have for aspiring comic book writers in addition to the previous advice you gave us in our last Argo 5 interview? Sehn: Tell YOUR story and try to find your unique voiceover, retelling stories you have enjoyed. Look to the world around you and your own interactions for story ideas so you can bring something new to the market. All that, plus never give up on your dreams. Me: How would you compare and contrast your art style with other artists' styles who worked on this volume of Argo 5? Dantas: All of them are great and bring a wonderful diversity of styles to the Argo 5 title. 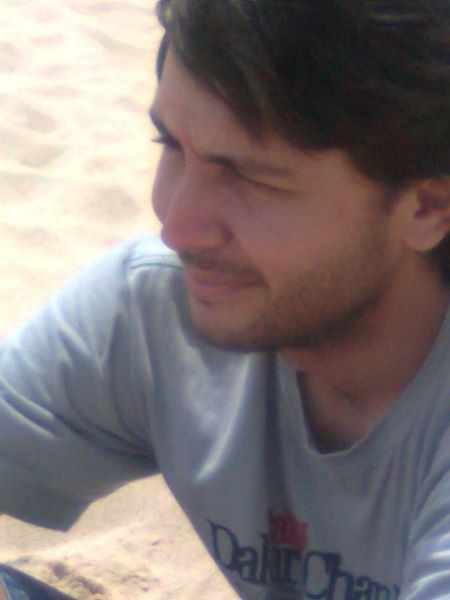 In my case it was the beginning of a new phase for me, where I started to use a more classic style of comic art. Me: Since you’ve worked on several issues of Argo 5 over time, how would you say your art style has evolved during the course of this series? Dantas: The latest story I did for Argo Comics was Sorority of Power #13 and I consider it a watershed in my career; it was where I finally began to find an artistic identity. I thank Argo Comics for that since working on various issues for them allowed me to develop my own style. Me: What was your favorite page to illustrate in Argo 5 #6 and why? 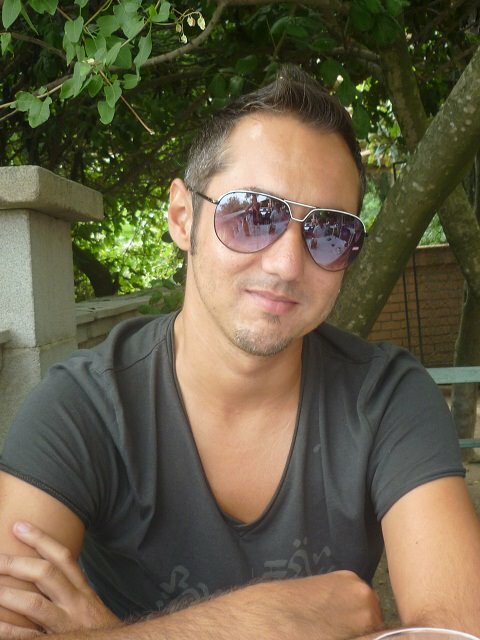 Dantas: I like the page where the other members appear in the story with Blue Dynamo leading into his origin. The book is strong in character interaction. 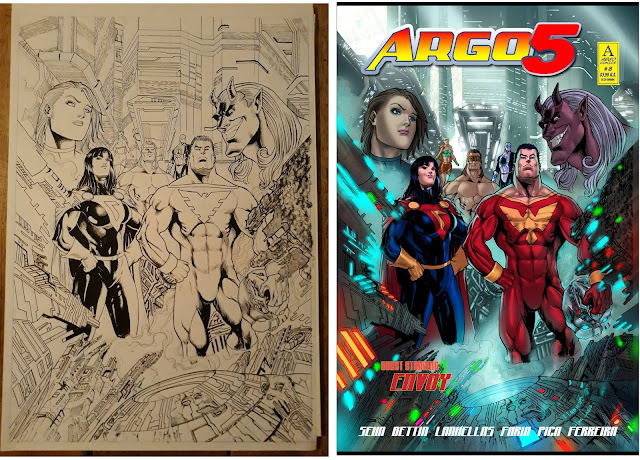 Dantas: Argo 5 has potential, and Dan has endless ideas that need and deserve to be shown to comic book fans. Me: What inspirational words do you have for aspiring comic book artists in addition to the previous advice you gave us in our last Argo 5 interview? Dantas: Do not give up. Do not listen to people who tell you to give up; I've listened to this my whole life and today I live from my art. Focus, study, have self-criticism, and be professional in all of your work. The reward will come. 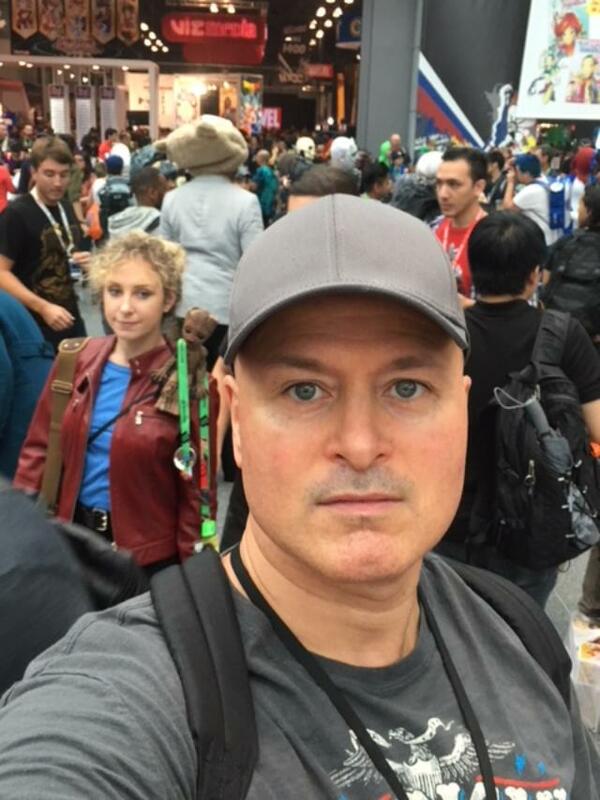 Me: When did you meet Dan and how did you become part of the Argo 5 comic book art team? Garcia: I don´t like to compare my style with other artists, because each artist have is own personal style. Some are more classics, others have some manga influence, others are more realistic, so it is difficult to compare yourself with people who have different styles. But for sure, in this volume everyone will find his favorite style due to the variety of artists. Me: What was your favorite page to illustrate in Argo 5 #11 and why? Garcia: Probably my favorite page is the first one, because it’s a big panel with all the members of Argo 5 reacting in front of a frozen Megamax, who is in some kind of cocoon made of crystals. Me: In what ways were you influenced by the art in the rest of Argo 5 Volume 2 when you worked on the last issue in the trade? Garcia: As I said before, a lot of artists collaborated in this trade, artists with different styles, so of course I learn a lot by observing the art of another people, even if some of the styles of these artists are different from mine. Garcia: There are a lot of reasons to buy this Kickstarter: amazing characters, fun stories and great art. Anyone need another reason? Garcia: My principle advice for aspiring comic book artists is: work every day! Practice is everything. Me: Thank you for taking the time to answer my questions. Hopefully these superheroes will work out their super issues! If you’re reading this and interested in pledging the project, check out the Kickstarter for Argo 5 Volume 2. Moon Girl graphic novel - Retro futurism! Ray guns! Pew Pew!